One lucky US resident will win the Grand Prize: A Rockstar & Harley-Davidson® co-branded Iron883™ Motorcycle! Also, two monthly Runner-Up Winners will receive $200 worth of Rockstar Energy branded apparel! Check out the many ways to enter now! 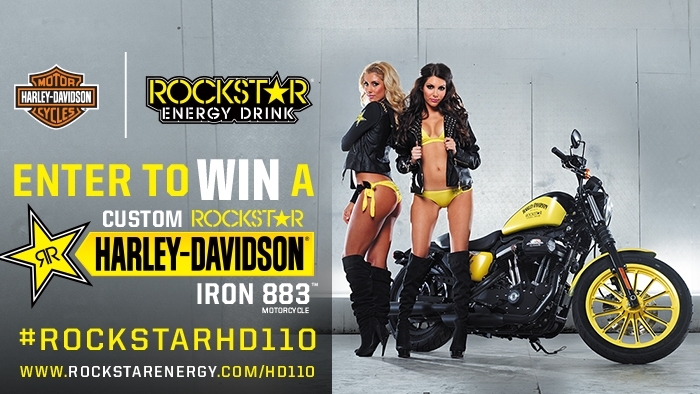 Go to http://www.rockstarenergy.com/hd110.